All Lothian homes currently listed for sale in Lothian as of 04/21/2019 are shown below. You can change the search criteria at any time by pressing the 'Change Search' button below. If you have any questions or you would like more information about any Lothian homes for sale or other Lothian real estate, please contact us and one of our knowledgeable Lothian REALTORS® would be pleased to assist you. 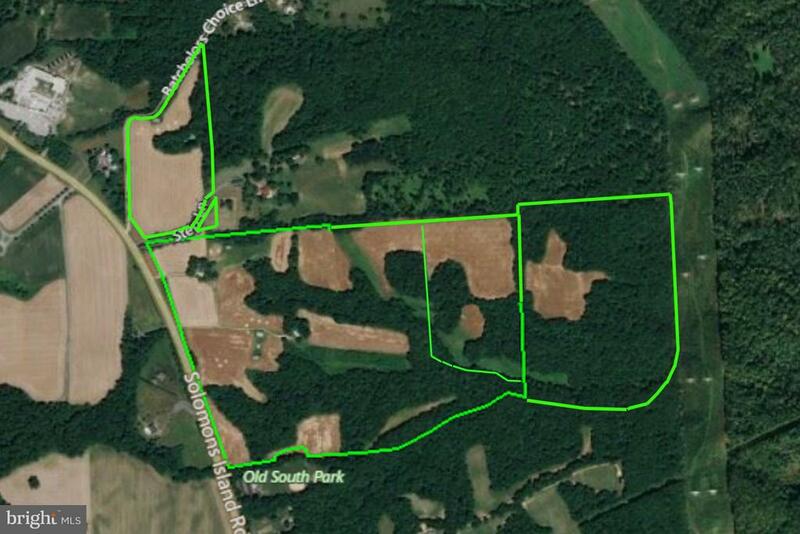 "~185-acre farm w/ 4 land parcels in AA County--excellent location for equestrian estate. 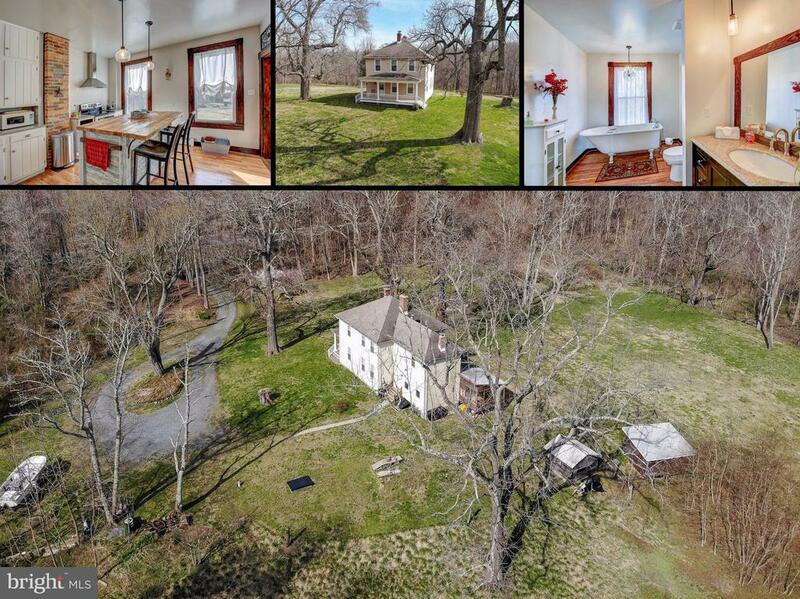 Original 1930s farmhouse w 6 bdrms, built-ins, & hardwood. Convert to tenant or guest house, or live there while you build your dream home. Spring-fed stream could be dammed for pond. 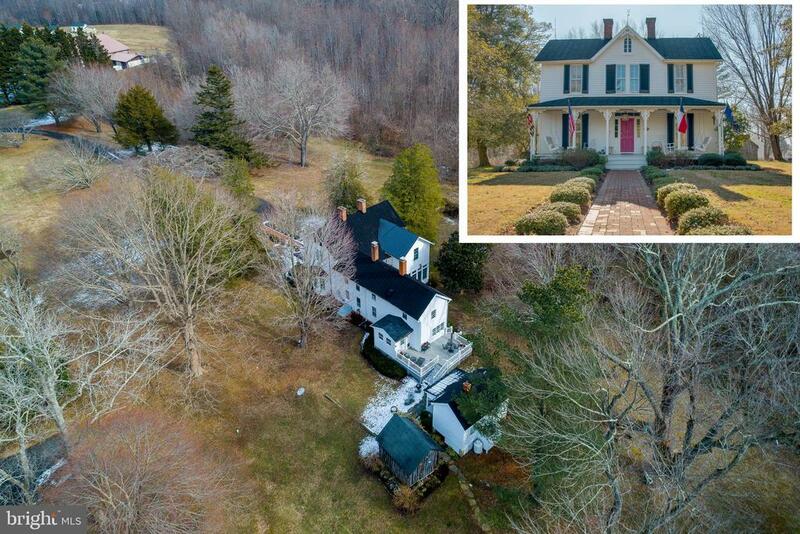 Substantial frontage on Solomons Island Rd. Suitable for hunting, some woods. Ag preservation permits 2 add'l building lots." "Millie Fleur was designed and built with perfection in the 1870's. The design is an Eye House and welcomes you with a truly elegant foyer and a beautiful staircase. Offering spacious rooms combining historic charm with new and contemporary. A true Chef's/Gourmet Kitchen, with marble countertops and spacious living areas, new sunroom with tons of light and tremendous views, large bedrooms, fireplaces, high ceilings and so much more. Has several out-buildings including a large barn for parties, a large detached garage, a small efficiency/cabin, a 2 bedroom home and chicken coop for fresh eggs...really secluded and private surrounded by trees and farmland." "This wonderful warm and inviting home offers kitchen which opens to family room and sunroom overlooking farmland, pasture and riding ring. Wet bar in kitchen. Walk into the sun room and enjoy the view. From there enter the large screened in porch with built in barbecue grill and overlooking the salt water self cleaning heated pool with waterfall Where you can also enjoy views of the farm. Brick and stone landscaping surrounds the pool area. The large first floor master bedroom offers a wood fireplace and very large upgraded master bedroom bath with shower, tub and large walk in closet. A very large formal living room is off the family room and the dining room holds a table to seat 18. The second floor offers three very large bedrooms with a full bath and a Jack and Jill for the other two bedrooms. Very bright sunlit rooms with wall to wall carpeting. Need more space? There is a full basement with rough in for bath and walk out to side yard making it easy to store pool equipment. A beautiful entrance gate greets you and takes you to the circular drive in front of house or drive to the barn for plenty of parking. Automatic waterers with heaters to 4 paddocks and water and electricity to 7 paddocks. The sand ring is lighted. There is a large 2 car attached garage which enters house with large pantry , laundry and mudroom. The barn is a center aisle barn with four stalls, wash stall , tack room and feed room with steps up to large hayloft. Storage for tractors, horse trailers etc located on sides of barn. Ride your horse to the sand ring or head to the outside course. There is 20 foot outside fence to ride around the perimeter of your farm. This farm has been owned by same family for 30+ years and shows pride of ownership. Dual heating system with oil back up and generator when you lose power." 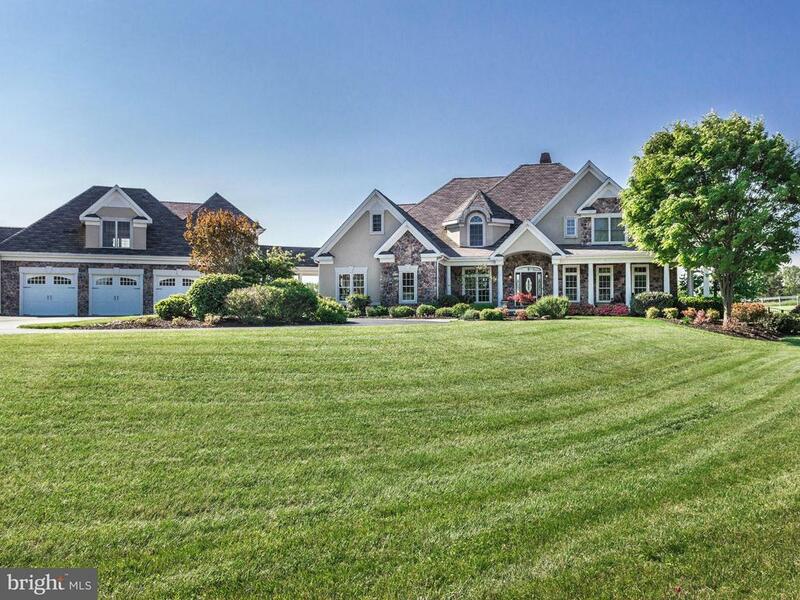 "Stunning French Country Estate Home on 2.52 Acres in Lothian! 1st Floor Master Suite with luxurious bath and 2-walk-in closets. Great room with Stone 2-Story Fireplace. Gourmet Kitchen with Center Island and Large Eating Area. Lower Level with Media Room, Kitchen and Large Bedroom with Full Bath. Upper Level Bedroom Suites .Main Level Bedroom with Full Bath. Private Outdoor Entertaining Areas!" "REDUCED!!! 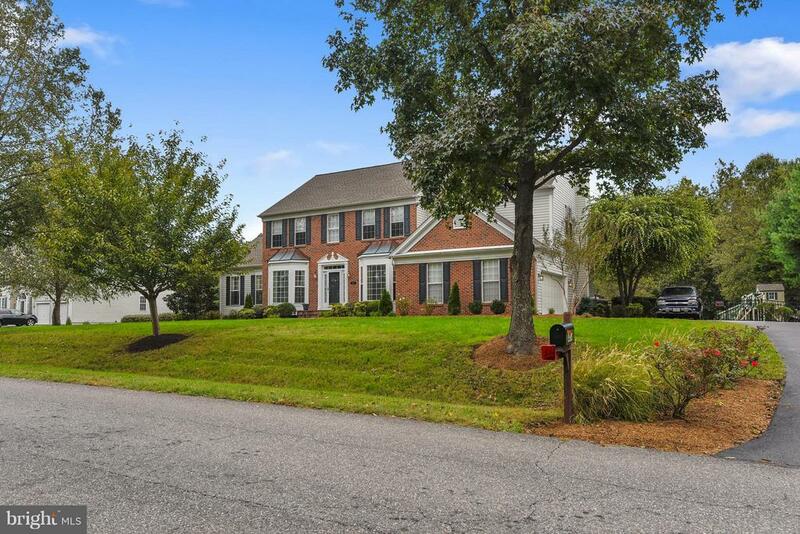 Stately White-Washed Brick Colonial w/a touch of contemporary design, NEWLY completed construction with the best upgrades ever, located in a country setting and yet close to everything including DC, VA and Annapolis. 4+ bedrooms,completed basement, open concept, stunning views, and GREAT location....come see for yourself. NEW HOME and move-in ready. 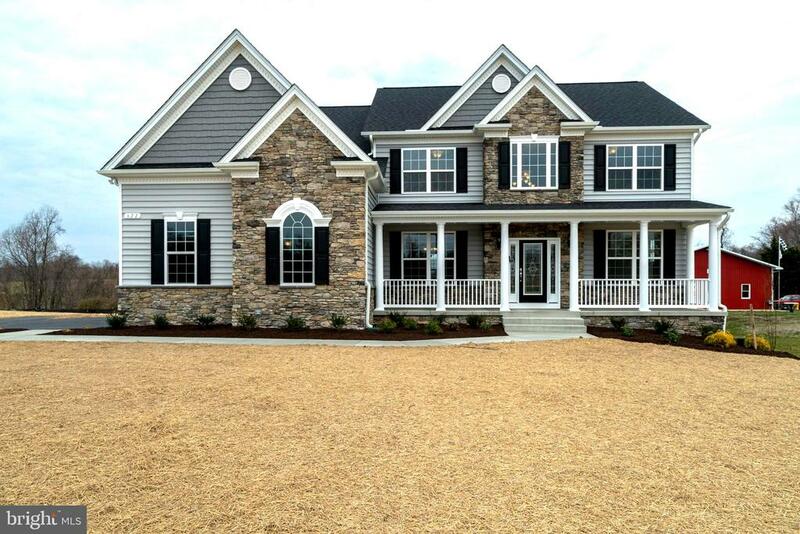 Built to perfection with a Builder's Warranty." "Beautiful home sited on 1+ acres of landscaped grounds in the private community of Old South Country Club. Elegant two-story entry with curved staircase, formal living and dining rooms with crown molding, wainscoting and French doors. Family room highlighted by gas fireplace and deck access. Expansive kitchen appointed with 42-inch cherry cabinetry, granite counters, tiered center island, and stainless steel appliances. Spacious interiors include sunroom, mudroom, and breakfast room. Oak hardwood flooring on main and upper levels. Master suite features a walk-in closet, sitting room, private deck, sizable full bath with double vanity, Roman shower, and soaking tub. Walkout lower level family room with gas fireplace. Entertain on the deck or patio overlooking the rear yard and community golf course." "Welcome home to beautiful custom built home located on 2 level acres with guinite pool, and a complete separate 1,100+ sq.ft. inlaw suite with it's own entrance. Main house offers large upgraded kitchen with corian countertops, center island, hardwood floors overlooking family room with wood burning fireplace. Sliders to large private deck that overlooks pool and acreage. 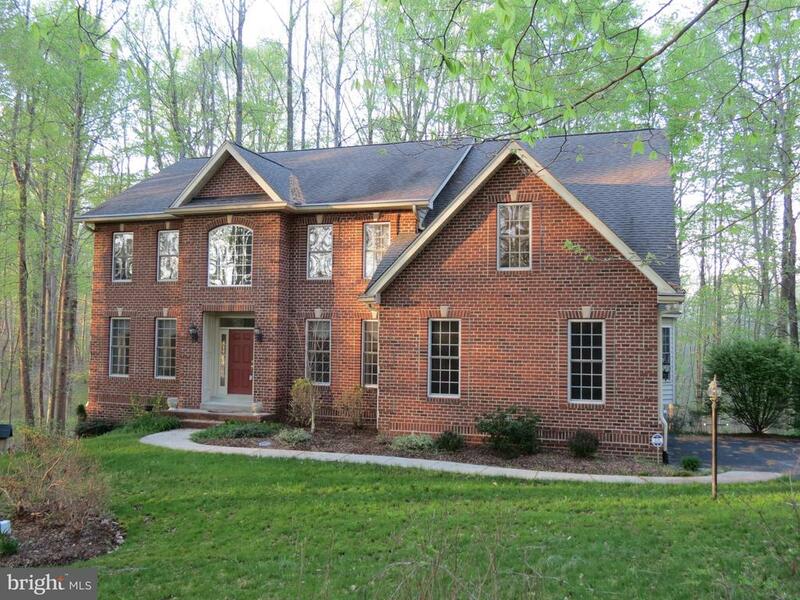 Upper level of home offers large 4/5 bedrooms, Lg. master bedroom & master bath with soaking tub. Lower level with great room, wet bar, 1/2 bath, walk out slider to rear yard. Main level inlaw suite consists of 2 bedrooms 1.5 bath, jacuzzi tub and tiled shower, fully equipped kitchen with corian countertops, 2 story family room with fireplace & upper level guest bedroom. Lots of closet and storage space. Professionally landscaped, new hvac, new roof. 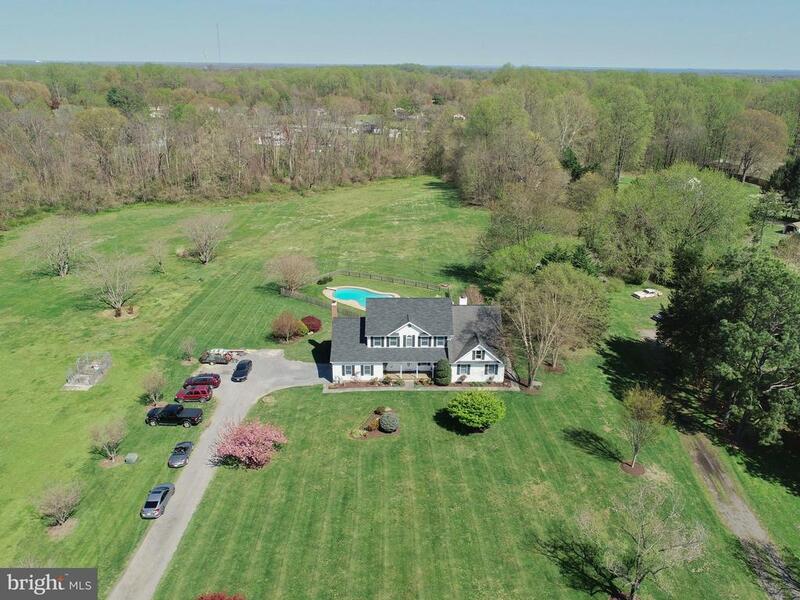 All this home and only 45 minutes to D.C., 25 minutes to Annapolis & Naval Academy, 25 minutes to Andrews Air Force Base, 5 minutes to award winning marina's & waterfront dining all on the Chesapeake Bay." "SIMPLY GORGEOUS CUSTOM BUILT HOME WITH OVER $100,000. IN UPGRADES. TWO ACRES OF PRIVACY, YET SUPER CLOSE TO RT. 4. GOURMET KITCHEN WITH ALL OF THE BELLS AND WHISTLES PLUS APPLIANCE AND GRANITE UPGRADES. BUILT IN WINE COOLER. FAMILY ROOM WITH STONE FIREPLACE AND A TWO STORY CEILING. LARGE SUN ROOM OFF THE KITCHEN AND FAMILY ROOM. 1ST FLOOR OFFICE PLUS 1ST FLOOR DEN AND A FULL BATH. MANY EXTRA THOUSANDS OF DOLLARS IN CROWN AND CHAIR MOLDINGS, WAINSCOTING. VERY GRACIOUS MASTER BEDROOM WITH A HUGE, HUGE WALK IN CLOSET. ADJOINING SUPER BATH WITH EXTRA LARGE SHOWER AND SEPARATE TUB. OVERSIZE 2 CAR GARAGE, LARGE MUD ROOM. MUCH MORE TO SEE, CALL SOON!! PLEASE NOTE THE PROPERTY TAXES ARE FOR THE LAND ONLY, ASSESSMENT ON THE HOUSE IS NOT YET COMPLETE." "MOTIVATED SELLERS! The spring market is here and there is no need to look any further. You will fall in love with this exquisite home on one of the most expansive and private lots in Carr's Grant at the end of a cul de sac. Live close to everything but still feel like you are escaping to your own secluded haven. An immaculate four bedrooms and three and a half bathrooms with lavish open living space, refined moldings and grand high ceilings await you. Opulent hardwood floors welcome you to a polished yet relaxed sitting room, a stunning dining room and a gourmet kitchen featuring all stainless-steel appliances and granite countertops. Retreat upstairs to your master suite with its striking tray ceiling and luxury master bathroom. Take in the view as every window has sweeping views of the serene and abundant landscape. The finished basement with a beautiful full bathroom provide an impeccable space to entertain or simply unwind. Brand new HVAC system! No detail was left unfinished in this breathtaking space you can call home." 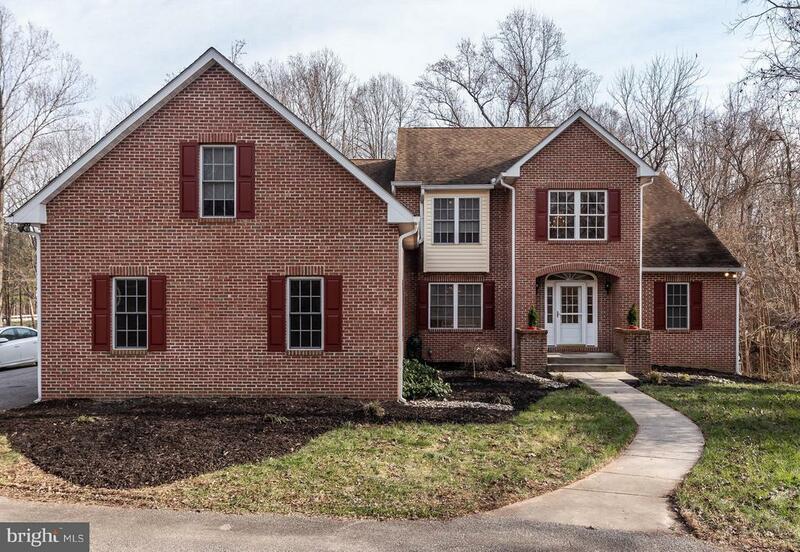 "Great Opportunity to Own this Custom All-Brick Colonial. Features include Main-and Upper Level Master Suites*** Main Level In-law/au Pair Suite includes separate kitchen, separate laundry, and separate entrance. Relax in Upper Level Sun Room; and Library. Lower Level: Unfinished Basement with Fireplace, separate entrances. Utility Room. Property is an Estate-Sold in 'As Is' Condition Roof to be replaced; any mold to be remediated. Household and Personal Furnishings; and Vehicles do not convey." 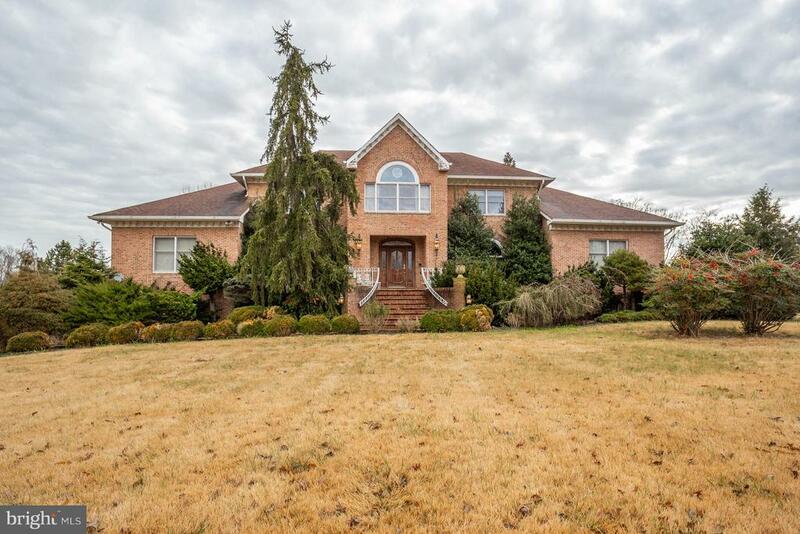 "Gracious Home in Carr's Grant Elegant Moldings, Hardwood Floors, Soaring Ceilings. Expansive Sun Room. Gourmet Kitchen with Center Island. Upper level laundry. Master Suite with Tray Ceiling, Luxury Bath and Custom Closets. Finished Lower Level with Theater area, Guest bedroom and full bath, Separate play room. Extensive landscaping with large deck overlooking fenced rear yard, playset, & shed"
"Immaculate large 4 bedroom brick front Colonial tucked away on 2 acres. Home features 2 car attached plus 2 car detached garage with loft that features a balcony to enjoy the sounds of nature. Kitchen with large island opens to spacious family room with gas fireplace. Library/office has built in shelves, hardwood floors through out main level. Large deck off kitchen area with stairs for access to back yard. Driveway has space for your RV or boat. Board your horse right next door and use the park and ride down the street to get to work. 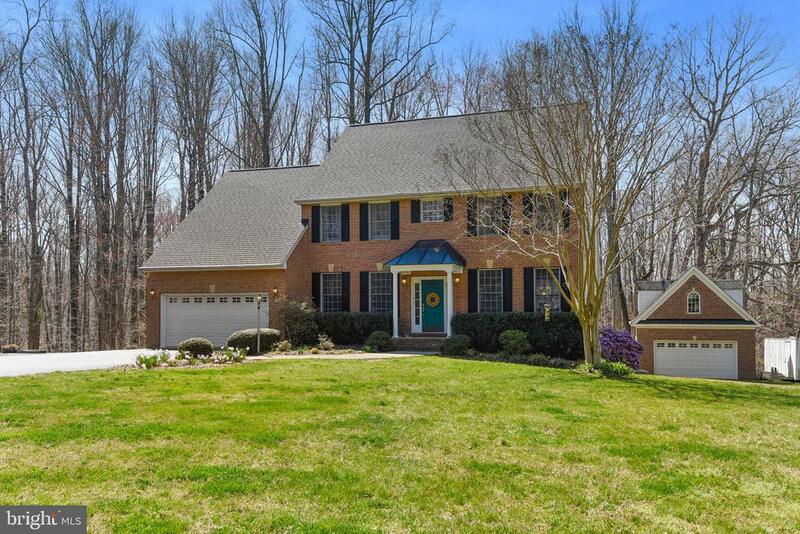 Large Lower level features wet bar, bonus room, full bath and walk out to back yard. Home has newer roof, HVAC, whole house generator hookup, High efficiency heat pump- hot water heater, 220 Volts for your electric vehicle in the garage. Master bathroom and hall bathroom have double sinks. Home is close to Rte 4 and located on a cul de sac." 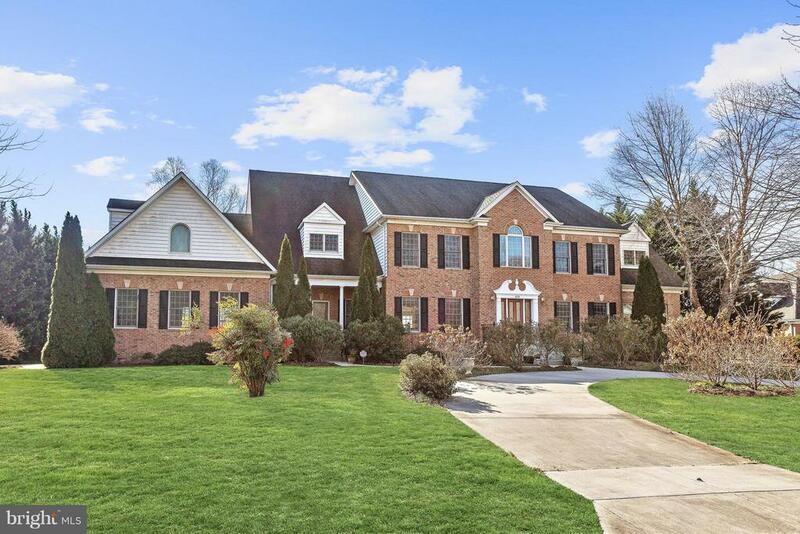 "Endless possibilities abound in this amazing custom built home 30 minutes from Washington, D.C. With 5 bedrooms above grade, 2 more below, and 4 full baths this is a perfect home for anyone looking for space. Cathedral ceilings and a wall of windows greet you as you walk through the foyer to the great room. The eat-in kitchen is equipped with your chef's dream of a gas range. 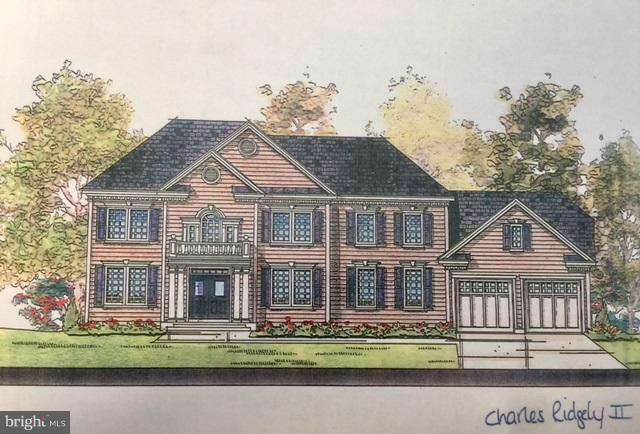 There are 2 master bedrooms with en-suite baths on the first floor. 2nd master bedroom is handicap accessible with extra wide bath and bedroom doors and a barrier free shower. Want to run a business out of your home? This house has a 3 car garage, two storage sheds, over 2 acres of land and no HOA. You won't believe how high the ceilings are in the walk out basement. This is the home you've been looking for!" "TURN BACK TIME IN THIS 1930s FARMHOUSE!! 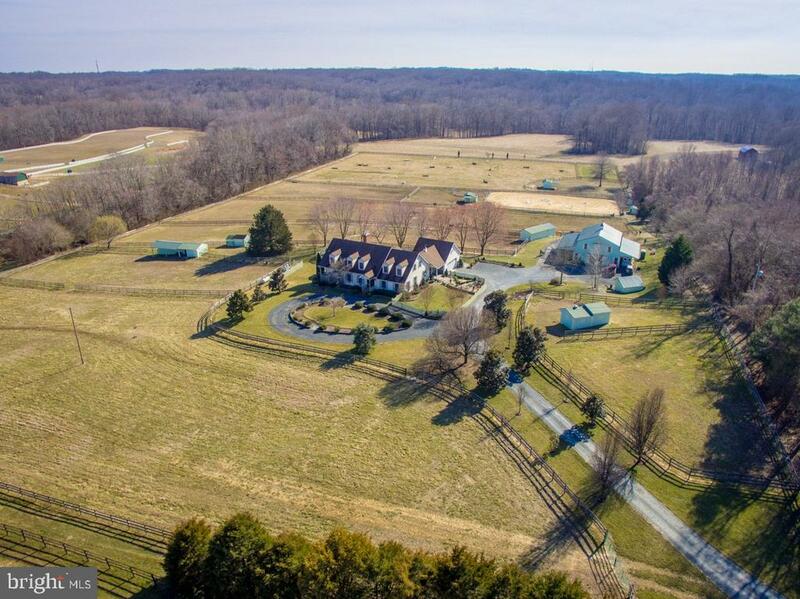 Best of both worlds with super easy commute to JBA and D.C. yet offers all the pleasures of country life! Property on 4 acres. Enjoy the scenic pastoral views here with lots of wildlife! Property backs to Cabin Branch spring-a fossil hunter's dream! Two small outbuilding and has several concrete slab on side yard- could easily install barn and have horses! Possible farmette property with NO HOA! Approx 2,380+ sqft. House has been 90% renovated. New owner could easily put the finishing touches to complete the last remaining renovations to restore this house. 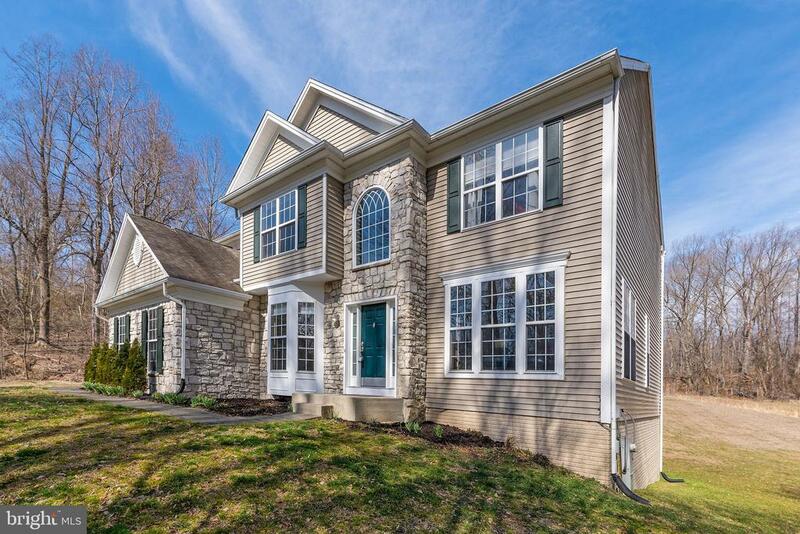 Has original woodworking, molding, front staircase & additional back staircase! Antique clawfoot tub in master bath. 4 bedrooms upstairs and 2 full baths! Half bath on the main level! HUGE sunroom that overlooks beautiful property and tree that was a seedling from the famous WHE OAK TREE! Updated kitchen with SS appliances, quartz countertop, and large custom island! Wood floors throughout. New custom front door with stain glass!"